Everyone loves style and elegance in their home interiors in the form of kitchen plans in popular materials such as polished marble which is beautiful to look at. They are however very delicate and in the absence of necessary attention and protection, can be damaged quite easily. Some of the common reasons are splashes of furnaces, greasy dishes, incrustations. These are all enemies of this sought-after material. Let’s see how to keep the polished marble floor in excellent condition with minimum efforts. Recover the residue with a mop and then rinse thoroughly with water. Remember that prevention is better than cure. Restoring a stained plan is very difficult and expensive. It is therefore important to perform a good anti-stain treatment that prevents the material from absorbing dirt and stains. You can choose between a protection with natural effect (which maintains the natural color of the stone) or reviving (which revives the veins of the marbles and exalts the color). Wait about ten minutes, then scrub the surface with soaked paper towel so that it penetrates deeply and removes the residue. For daily cleaning of the marble floor, we recommend using the environmentally friendly protective detergent. In the form of an aerosol, simple and practical, the product allows you to effortlessly clean the surface and restore the anti-stain protection. It also makes it more durable. Moreover, it is very easy to use: just use a soft dry cloth for application, rub the surface until it is completely dry. The best part is it does not require rinsing and leaves a pleasant scent. If properly maintained with the protective detergent, stain protection can last up to 10 years! Stains on a marble floor? Here are the solutions! Fats and greasy stains (eg oil) : spray , aerosol stain remover, at a distance of about 15 cm; let dry a few minutes, then remove with a brush the white powder that has formed. Follow up by wiping with a damp cloth. Colored organic stains (coffee, tea, fruit juice) : apply the stain remover product on the stain, leave on for about 15 minutes, then remove the residue with a sponge. Caution: remove the product before it is completely dry. Opaque spots due to acid attacks (vinegar, lemon, etc) : to restore the gloss of the marble plan, use the marble restorer kit, according to the instructions by the producers. After eliminating stains, do not forget to protect your work plan against possible future problems by applying a good anti-stain treatment! 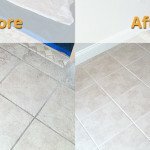 It is always better to consider professionals for tile cleaning. They have thorough knowledge and tools to clean your delicate tiles in a most effective manner. Moreover, they know about different types of materials and treat them accordingly. Fresh Tile Cleaning is the best tile cleaning company with expertise and thorough knowledge. We are your one stop destination not just for marble cleaning but for cleaning all types of tiles. Our team consists of expert cleaners who hold international certifications and thorough knowledge. We believe in quality work. Hence, we do whatever we can to deliver you the best services at an affordable price. Give us a call on 1800 233 141 to avail our services. Our executive comes right to your place as soon as you confirm the order. 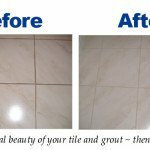 We also have same day tile cleaning services available. 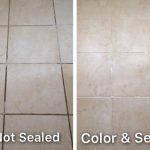 We deal in a lot of other services as well such as tile stain removal, tile polishing, tile resurfacing, tile recaulking, grout filling etc.